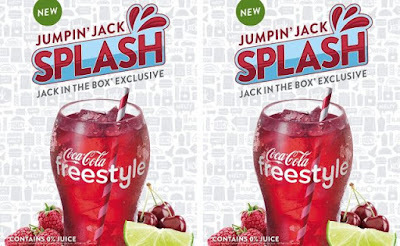 Jack in the Box adds a new drink, Jumpin' Jack Splash, as their first proprietary Coca-Cola Freestyle beverage. 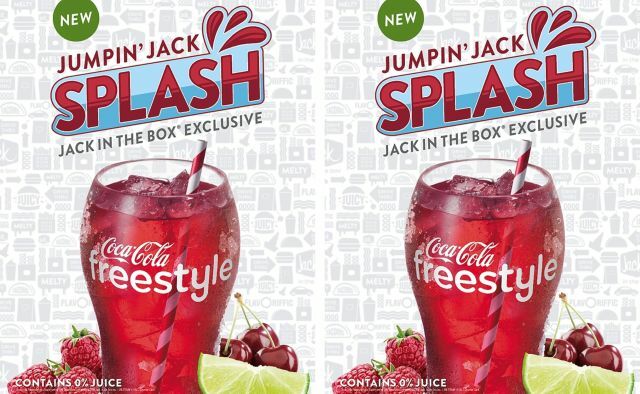 Jumpin' Jack Splash features Minute Maid Lemonade mixed with cherry, lime, and raspberry flavors. As you might suspect, it's not carbonated and is available in diet or regular versions. You can find the new beverage at one of the more than 2,200 locations with a Coca-Cola Freestyle drink fountain.